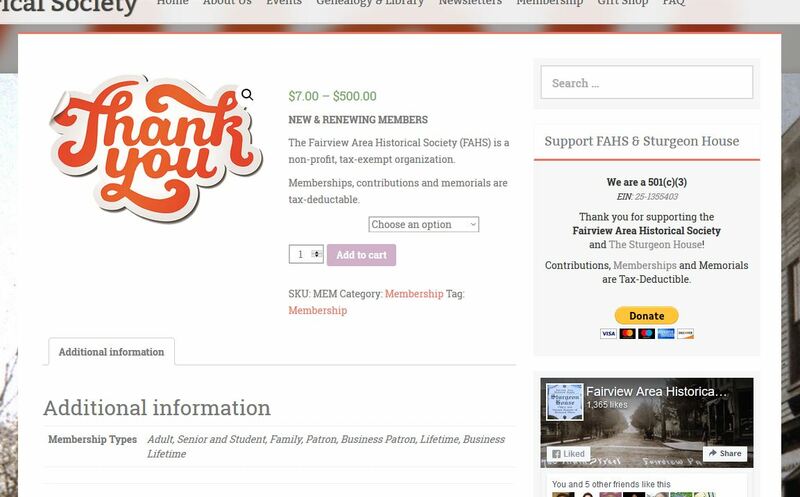 The Fairview Area Historical Society in Pennsylvania had an unlimited budget and money was no option. Like any small town entity, nickels count. 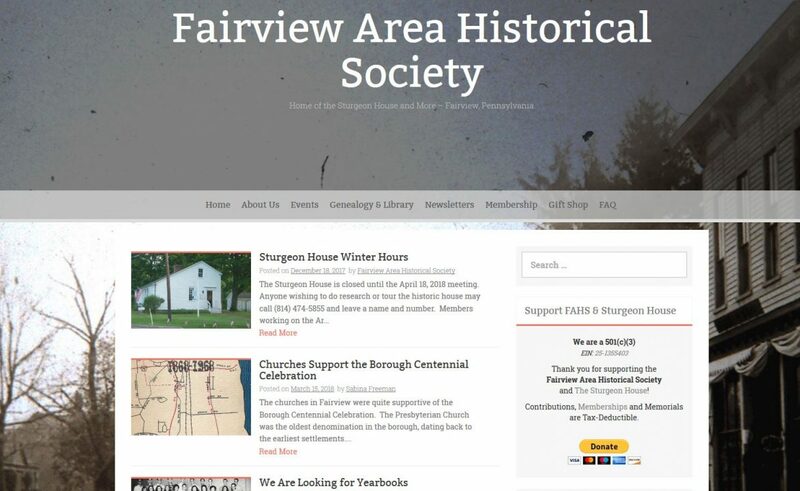 This volunteer organization had a website that, like itself, was quickly becoming a relic. I loved setting them up for success for generations to come. 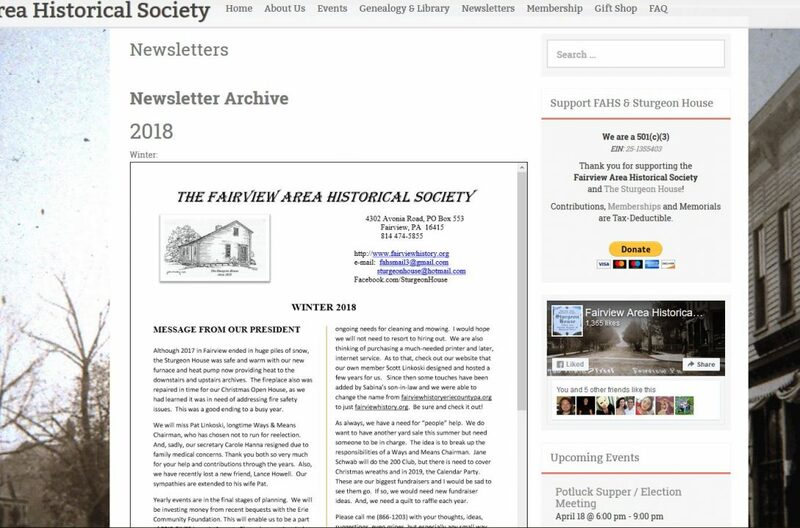 Small town historical sociey – limited budget. Ok, so we are starting from scratch. What are best practices to ensure their success for the next 100 years? Deep breathe – let’s do this. 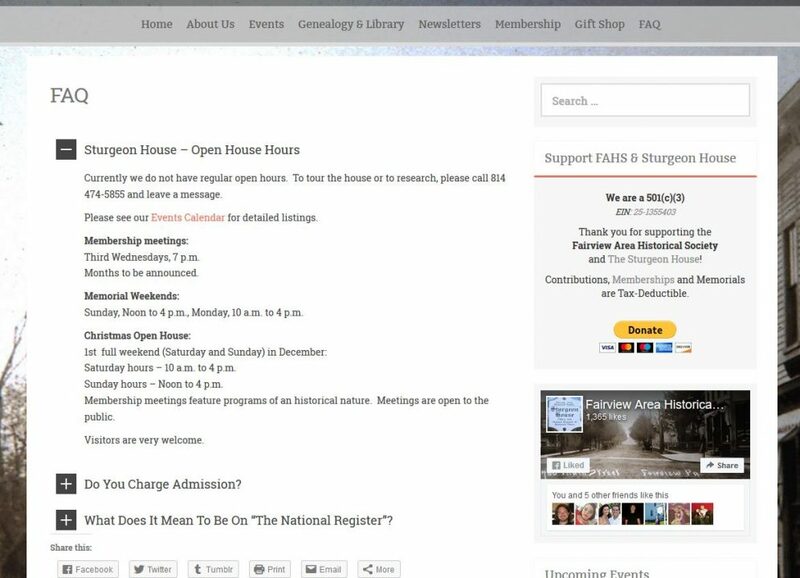 In addition to just “making it look good” and modernizing the website there were a lot of tweaks the staff were unaware of. Let’s change the “print and mail” membership form. 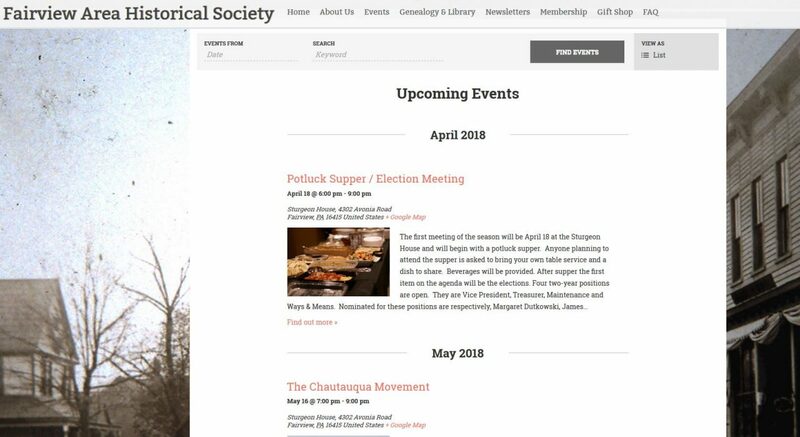 Let’s set up a calendar of events. Not knowing what the Internet will look like in 10-20 years – let’s prepare for it. As we implimented changes and upates, established work-flow, it was awesome to watch the web traffic escalate. Still working on a few pages and loving watching the site evolve.